We love the heart of the home. It’s a terrific gathering room, and a place where delicious creations are born. It’s also a room where space is needed and desired by most homeowners. 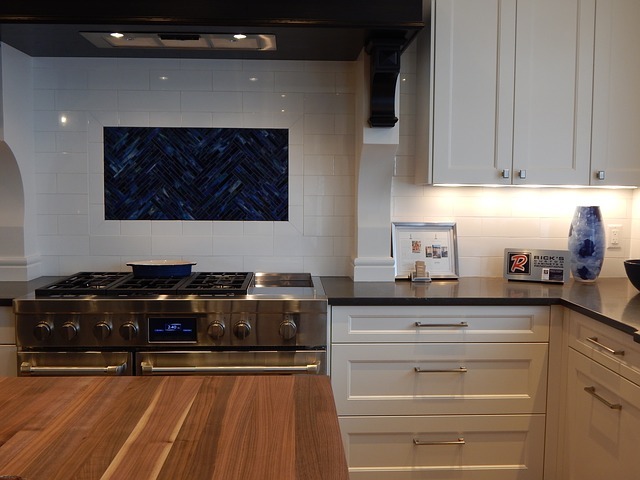 More people are looking to create a sleek style in the kitchen with cabinets that have sharp lines and modern fixtures. They are often used in black and white kitchens, which is considered to be a refreshing change from rustic or vintage style rooms. Horizontal cabinets are increasing in popularity for the unique style and shape that they offer to contemporary kitchens. It makes for a new way of organizing tools and utensils while categorizing like items. Drawer inserts are often installed inside of this type of cabinetry for an incredible way of organizing everything and keeping it separated. This can be used on the top and bottom portions of the kitchen space. Shaker cabinetry have continued to be popular over the decades with the use of high quality wood. It makes for a clean and modern way of designing the kitchen without having too much detail or embellishments on the feature. They are often available in white and are complemented well with the use of sleek hardware for a chic style. For those who care less about what the cabinets look like and instead want to enhance the functionality of their kitchen, there are several designs that work to meet the needs of the cook. This includes installing pullout shelving, adding a Lazy Susan in a corner cabinet, and building a toe-kick drawer under the lower cabinets. This makes it easier to enjoy the space and have less hassle involved with finding items. One of the latest trends with cabinets is being able to see the dishes that are held inside. For those who want a peek into the cabinets, glass front doors are a trend that enhances the decor of the room and allows gorgeous dishes to be on display at all times. Bonus tip: For those who want plenty of space for their kitchen items, floor to ceiling cabinets offer an ample amount of storage and still contribute to the aesthetics of the room. If you’re in the market for a Nashville home with an incredible kitchen, our award-winning real estate agents are here to help. Give us a call or drop us a line today.